I was first licensed in the fall of 1954, as WN5GZT. I was then located in Shreveport, LA. 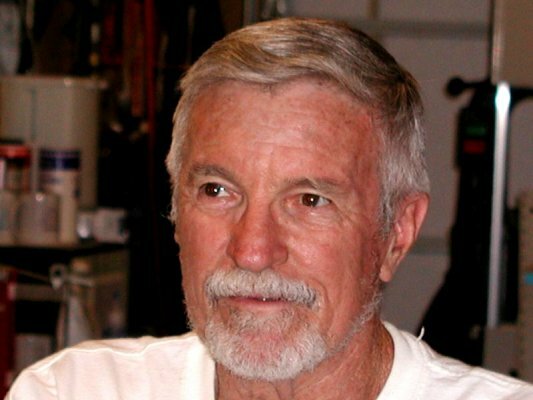 Over the years, I moved with jobs, and operated under other call signs in each area I lived and maintained a permanent residence and operating rig (and used it) in Shreveport at my Dad's house. As we all know, the requirement to have a call sign in the area of residence went away, and I kept my original call sign. Having started as a Novice, I learned to love CW. The Navy has a way of helping you learn to love it as well. I have lived in the Kansas City area since 1978, and enjoy a 4 acre yard with room for any kind of antenna that I might want to try. My first rig was a 6AG7 single tube oscillator-final operating on 40m. I progressed to higher power by adding a 6L6 final to the 6AG7, and really had a great rig. Most of my earlier gear was home-brew, except for the receivers, which I usually managed to trade for or pick up as parts and repair. Times have changed, and as the eyesight fails (along with a lot of other stuff in the human body), I don't build much other than antenna systems. I'm looking forward to being a member of this club. I am sending you a couple of pictures, although they don't show the "real" QRP part of the station. 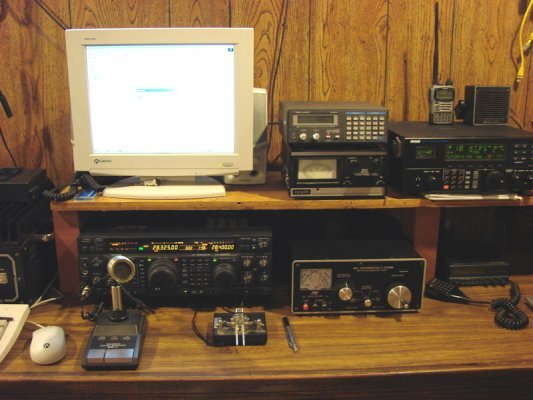 In the shack picture, the FT1000 is the "in the house" QRP radio running 5 watts. Not such a terrific accomplishment, but it works. The antenna will be either a 160m windom or an 80m windom. When operating from the sun porch or the outside location under the trees, the rig is an FT-817, usually at 1-3 watts, and twin lead dipole on the band of choice. I am not an aaavid contester, but enjoy QRP CW more than anything else that I do. The other picture is just a mug shot of the chief operator at W5GZT.